Now a child can enjoy both a portable game and the fun of a plush animal in the same toy. 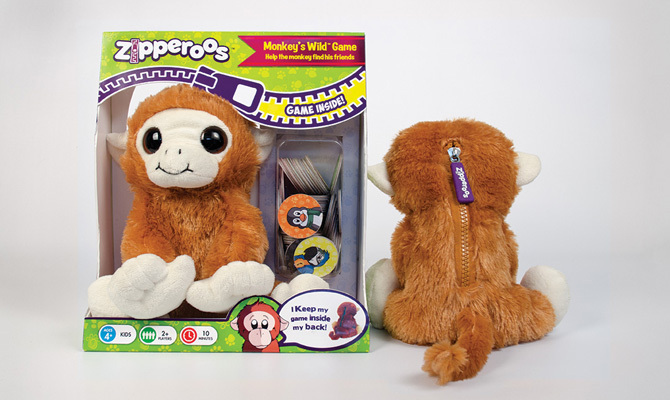 Children can collect more than one Zipperoos game: Monkey’s Wild and Frantic Frog are available now. These simple and fun games each come with their own high-quality plush animal carrying case. 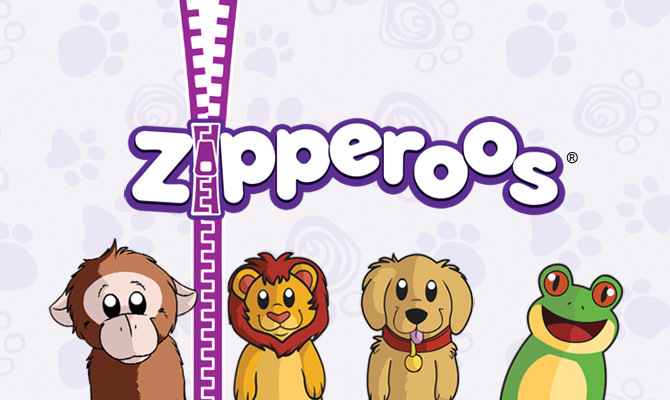 Each Zipperoos plush has a zippered pouch in its back so children can store their new game inside their animal friend. Or, they can use the pouch as a hiding spot for anything they like! These fun games and furry friends are sure to find a home with your family! Matching pictures and colors stress out Little Hopper! Can you stop him from jumping away? 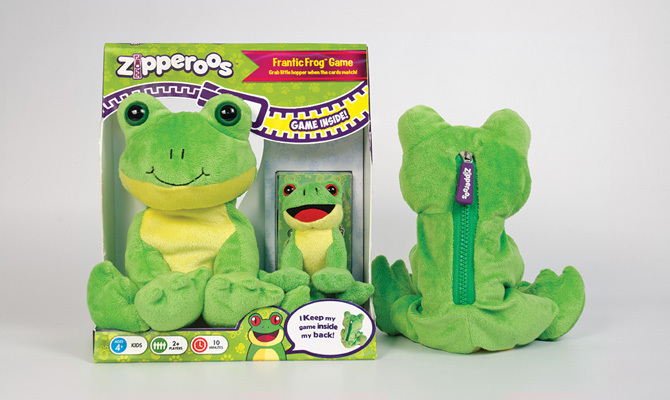 Your children will love trying to grab the stuffed frog as part of this fun card game. Game comes with a mini plush frog and a large zippered plush frog.